Healthy Eats.. We all need some new ideas for eating better at the beginning of the new year. 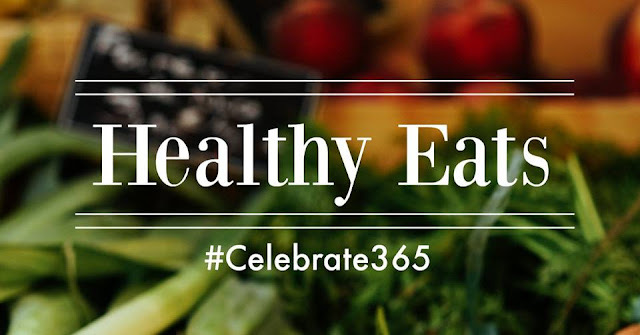 Bloggers are joining us here at Celebrate 365 Blog Party and linking up their best Healthy eating recipes to help us all get a jump start on the new year and eating better! I have had to resist treat after treat at the office, where patients just bring in gift after gift to thank us for caring for them. I had to start resisting all that love! 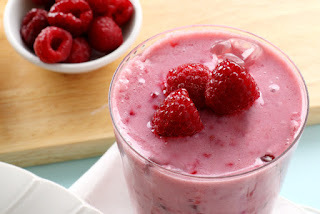 I just needed to purge my system with a good healthy smoothie or salad! My husband and I have been doing all kinds of simple stir fry's this past year. 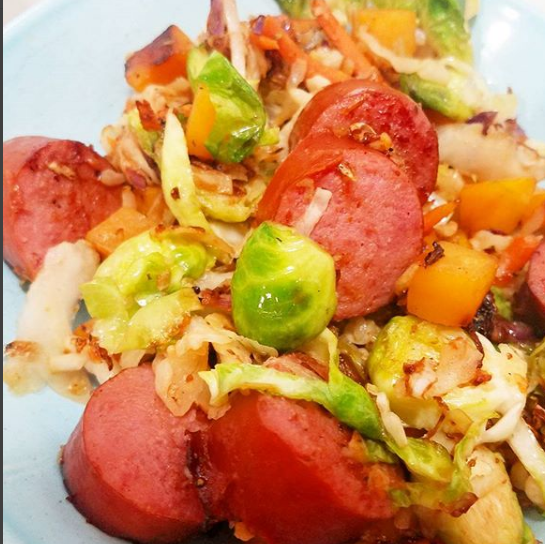 Our favorite is taking turkey kielbasa with a bag of fresh coleslaw mix (the cabbage and carrot blend) and slice up some brussell sprouts, asparagus, squash, mushrooms,etc. season it all on the skillet with garlic powder and grated Parmesan cheese. It's so simple but just quick, easy, fresh, and pretty healthy! Plus my hubby can make it, so I love coming home to dinner already being made for me! What are some of your ways for simple dinners or lunches that are healthy? I need quick and easy! Come link up all your best Healthy Eats Ideas! 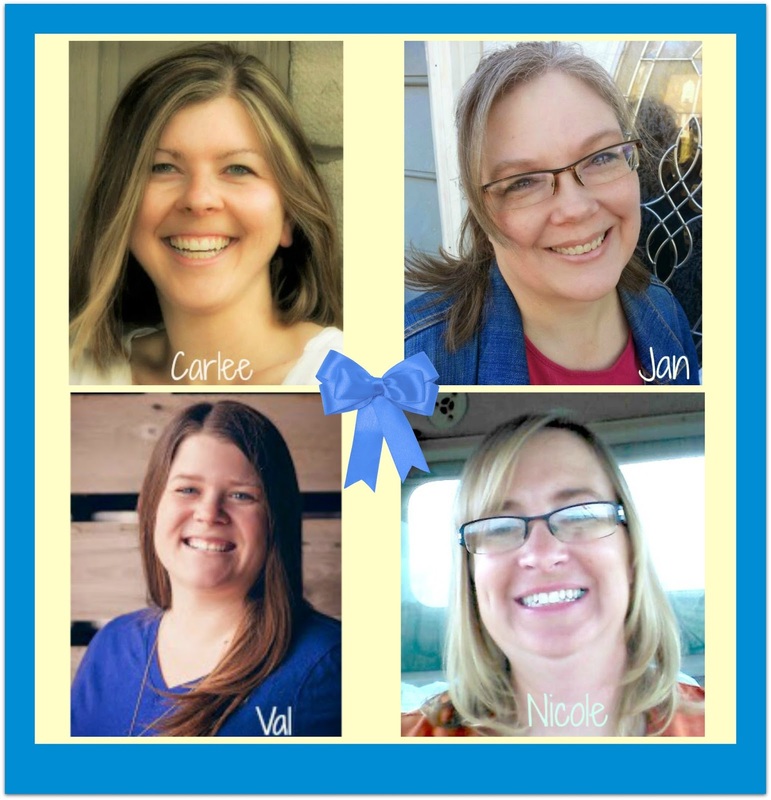 Happy Holidays Ladies! I've enjoyed adding recipes to your parties. Not sure how many I could add and hope you enjoy the ones I contributed. We make a kielbasa stir fry too but we use a bag of frozen mixed veggies and I usually serve it rice since my boys usually won't eat enough veggies to actually fill up on. Thanks for hosting! 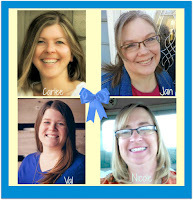 Jan, Val and Carlee, thank you for hosting. Wishing you all a wonderful 2018.